Taco's new "Plus Two" Multi-Purpose Valve is five valves in one,combining all the valve functions that are normally required on the dischargeside of a centrifugal pump in a hydronic heating or cooling system in a singlebody. The new Taco "Plus Two" Valve offers performance--low pressure drops that are equal to or better than any valve on the markettoday--and convenience: You can replace the stem seal packing under full systempressure. 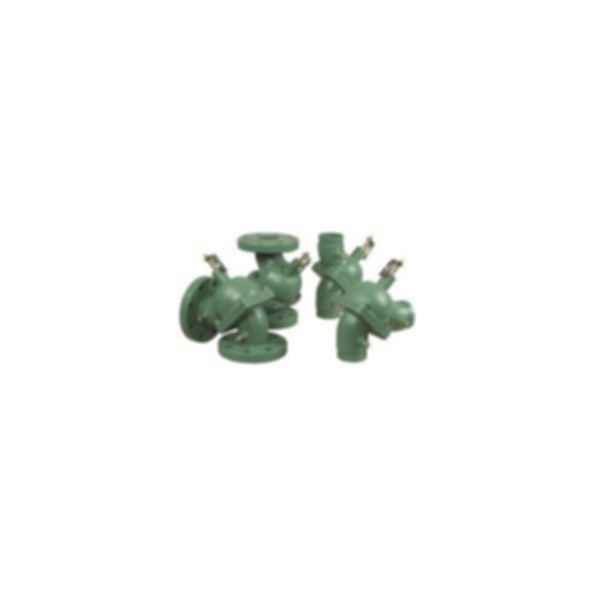 The "Plus Two" Multi-Purpose Valve is made ofductile iron with stainless steel and bronze fitted construction to provideyears of trouble-free service. It is available in sizes ranging from 11/2" through 12", with flanged or grooved end connections (11/2", 2" and 2 1/2" units are threaded connections).